Hennessey is at it again with another demented tuning creation, this time for the 2018 Jeep Grand Cherokee Trackhawk. Apparently, the Texas-based tuner isn’t satisfied with an SUV that already boasts 707 horsepower. So in keeping with its identity as a creator of tuning programs that border on insanity, Hennessey dropped the mother lode on the Grand Cherokee Trackhawk, turning it into a 1,200-horsepower monster that’s capable of sprinting from 0 to 60 mph in a jaw-dropping 2.3 seconds on its way to a quarter-mile time of 9.66 seconds @ 145 mph. 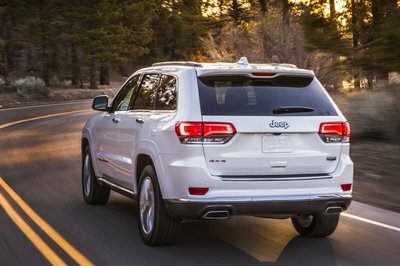 The Insurance Institute for Highway Safety has flagged the Ford Explorer and Jeep Grand Cherokee after both SUVs scored an overall rating of “poor” in the agency’s recent crash test examination. 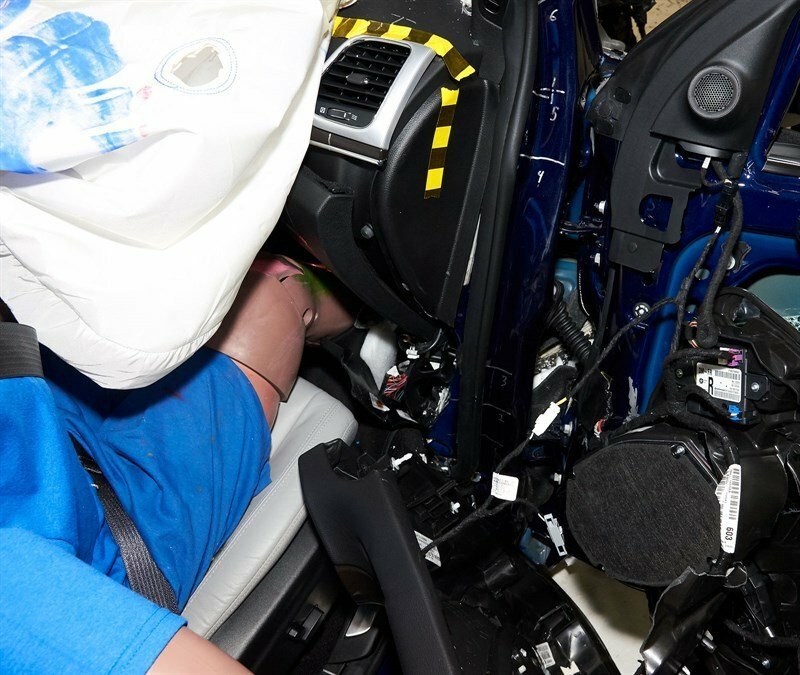 According to results of the passenger-side small overlap front crash tests, both SUVs showed a high risk of injury to a front passenger with potentially fatal ramifications. Fiat Chrysler Automobiles and the family of Anton Yelchin have finally settled the lawsuit that was filed by the latter over the unfortunate and untimely death of the Star Trek actor. A report from Reuters reveals that the case was wrapped up in Los Angeles Superior Court last week, putting the rest a legal battle that had been ongoing for the last 20 months. Read our full review of the 2019 Jeep Grand Cherokee or find some more awesome wallpapers in the gallery below! The 840-horspower Dodge Challenger SRT Demon stole the show at the 2017 New York Auto Show, but the 2018 Jeep Grand Cherokee Trackhawk certainly garnered a ton of attention. The highly anticipated an long-rumored Grand Cherokee Trackhawk is everything we hoped for and more, including that 707-horspower 6.2-liter supercharged Hemi V-8, beefed-up TorqFlite eight-speed automatic transmission and reinforced full-time 4WD system. 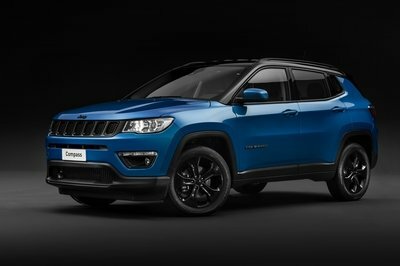 The Jeep even gets the Demon’s Torque Reserve system, helping launch five-passenger SUV to 60 mph in an astonishing 3.5 seconds! Yeah, the 2018 Jeep Grand Cherokee Trackhawk isn’t the most practical vehicle debuting at New York this year, but it’s by far the most practical Hellcat ever produced. Sure, the Charger Hellcat is a usable sedan with little draw-backs, but the Grand Cherokee Trackhawk offers 68.3 cubic feet of cargo volume and a respectable 7,200 pounds of towing capacity. Not to mention, this Jeep will likely do well in wintertime conditions with a set of proper tires, especially since its drive modes include a setting for snow. 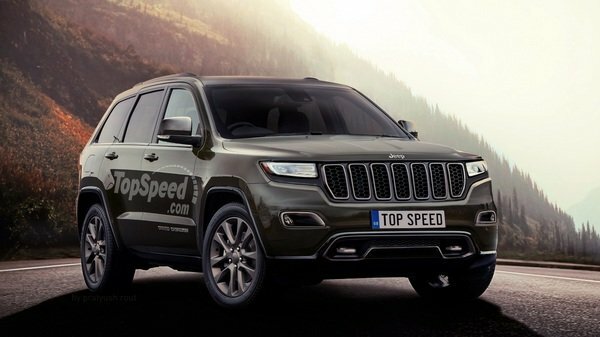 Jeep engineers didn’t just shoehorn a Hellcat V-8 under the hood of an ordinary Grand Cherokee, however. 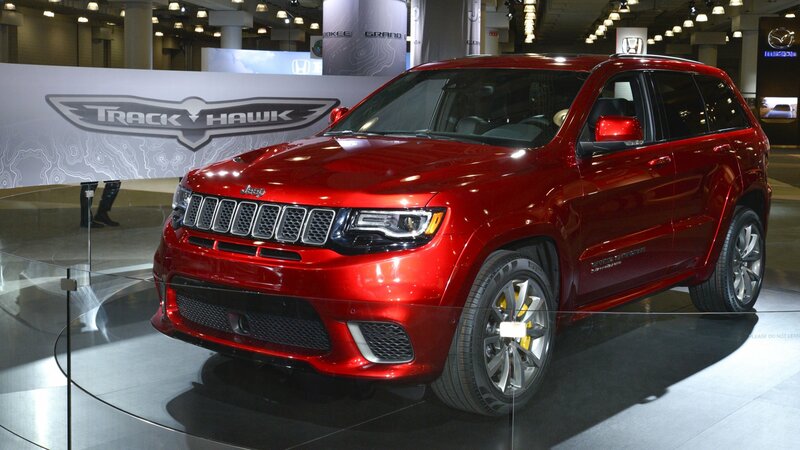 The Trackhawk is heavily modified, sharing nearly no common powertrain parts with the standard Grand Cherokees. 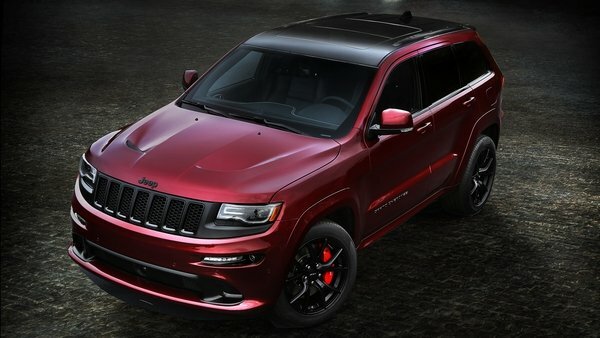 Even the 6.4-liter V-8-powered Grand Cherokee SRT version comes with less whiz-bang engineering. 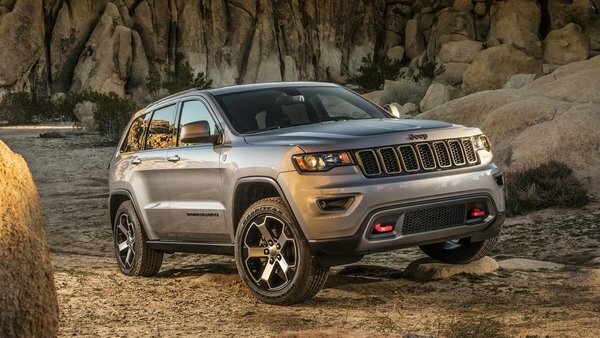 Update 08/08/2017: Jeep has announced pricing for the 2018 Grand Cherokee Trackhawk. It will start at $86,995, including the destination fee. Read more in the Pricing section below. The Hellcat-powered Jeep Grand Cherokee Trackhawk will become available to order in a few days time and its price tag is going to disappoint many. The MSRP for the 2018 Trackhawk is $85,900, excluding $1,095 destination. And since it’s a very special, limited edition car, by the time it reaches the showrooms in the fourth quarter of 2017 you could be looking at a 100 grand car. That is a hefty price to pay for a Cherokee, even one with special talents like this one. 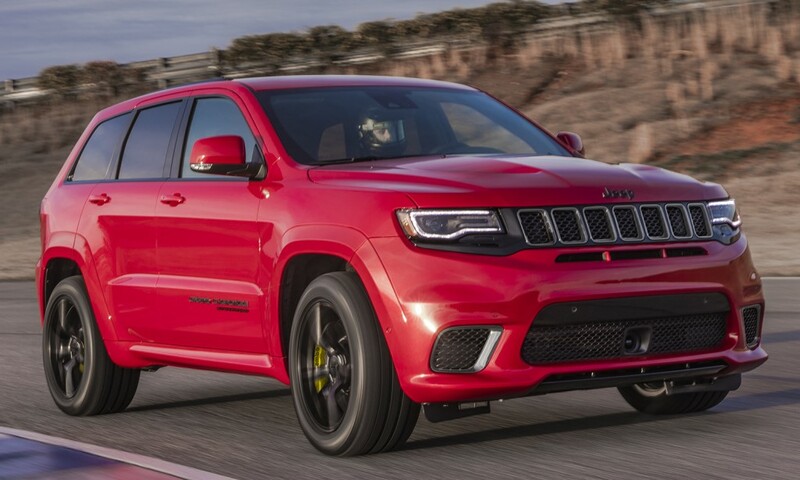 The new Jeep Grand Cherokee Trackhawk features the 707 horsepower and 645 lb.-ft. of torque supercharged 6.2-liter V-8 engine of the Challenger Hellcat, and that makes it not just the most powerful production SUV but also the quickest. The Trackhawk sprints form 0 to 60 mph in 3.5 seconds, does the quarter mile run in 11.6 seconds, and achieves a top speed of 180 mph. Not that anyone buys a Jeep Grand Cherokee Trackhawk for anything other than outright speed, but some of the other notable highlights of this SUV include Quadra-Trac on-demand four-wheel-drive system, Selec-Track system (Auto, Sport, Track, Snow and Tow), Brembo braking system, 7,200-pound towing capability, 20 x 10-inch Titanium-finish, soft-touch materials, unique Light Black Chrome finishes and carbon fiber spears, and a 7-inch driver information display (DID) instrument cluster, as well as Uconnect 4 system with 8.4-inch display that features Trackhawk-exclusive Performance Pages. Available options include dual-pane panoramic sunroof, three-season tires, lightweight 20 x 10-inch forged aluminum Low Gloss Black wheels, fully wrapped Signature Leather Interior Package in Black or Black/Dark Ruby Red, 19-speaker Harman Kardon high-performance audio system, dual-screen rear-seat entertainment center with Blu-ray, trailer tow package and Dark Ruby Red seatbelts. Available colors include Billet Silver, Granite Crystal, Diamond Black, Ivory Tri-coat, Bright White, Velvet Red, Rhino (exclusive), Redline 2 (exclusive) and True Blue. 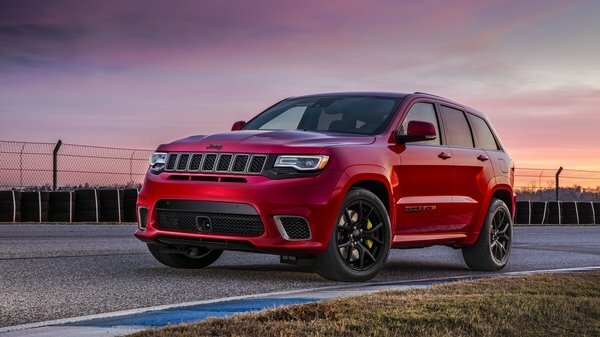 The post 2018 Jeep Grand Cherokee Trackhawk Starts at $85,900 appeared first on Motorward. Cue the band, Mr. Copland; today is Independence Day! It’s the day American celebrates her declaration of independence from Britain amid the bloody Revolutionary War, which lasted from 1775 to 1783. Now some 234 years after the battle’s end, America can celebrate something else, too – the laundry list of high-horsepower vehicles that out-class nearly everything on the world’s roads. These cars, trucks, and SUVs represent the best-of-the-best, the most lust-worthy iron ever to transport humans. These vehicles hail from American brand rich with history. We’ve included only late-model vehicles that represent the peak of their segment, and each will easily outgun nearly anything from outside our borders. Brands like Chevrolet, Ford, and Dodge are not only a cornerstone in the automotive industry, they are icons to the American way of life and our never-ending pursuit of happiness. So stand by for 4,295 horsepower of American Freedom! 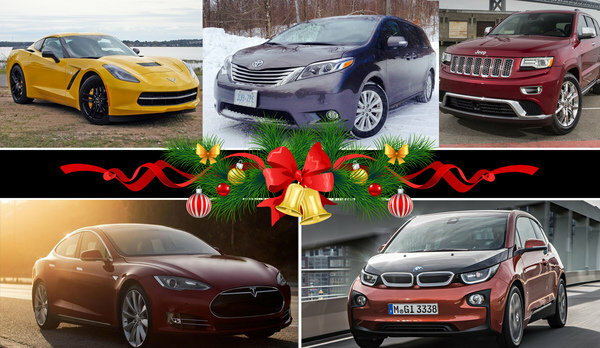 Continue reading for TopSpeed’s list. In case you haven’t noticed, let me be the first to tell you – there’s some really weird things going on in the auto industry these days, especially when it comes to performance machines. Some of the fastest cars on the planet are hybrids (Ferrari LaFerrari, Porsche 918 Spyder and McLaren P1), and the all-electrics aren’t that far behind. 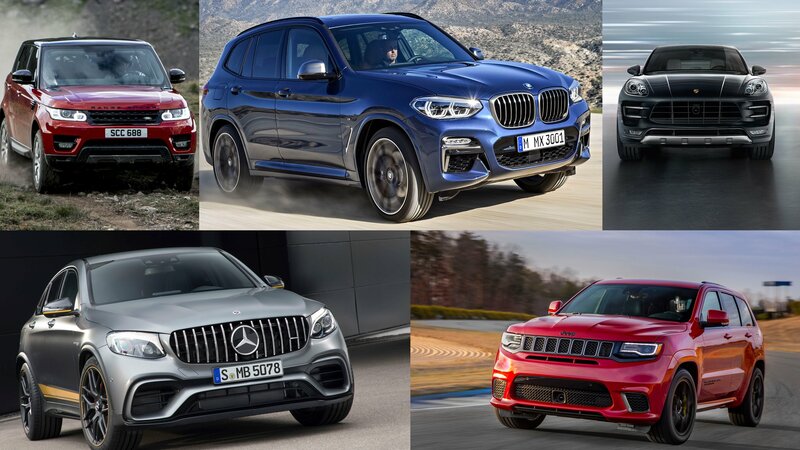 But probably the weirdest trend of them all is the performance SUV craze. These are two terms that make for strange bedfellows – “performance,” as in going fast, and “SUV,” as in big and tall and heavy and utilitarian. These things shouldn’t go together, but go together they do thanks to cutting-edge engineering magic. Performance SUVs seem to flaunt their resistance to the laws of physics, and the latest entry in this segment (and perhaps one of the most celebrated) is the vaunted Jeep Grand Cherokee Trackhawk, a Hellcat-powered off-roader-turned-dragster that promises tire-shredding power and absurd speed potential in a tall-bodied package. It’s big, dumb, and completely pointless. And I really wanna drive it. I’ll explain. When I first heard the rumors Jeep was fixing to stuff an SUV with Hellcat power, I was perplexed. I found the idea of a 700-horsepower SUV to be absurd and unnatural. If acceleration and speed is what you’re after, why go to the trouble of making it happen in a body style so out of line with that stated goal? I still feel that way now, and probably always will. For the price of a Trackhawk, you could easily get two vehicles to fill the dual roles of speed-maker and utility hauler, each of which would do their respective duty better than a single Trackhawk ever could. But that still doesn’t mean I don’t want to drive this thing. Continue reading to see what I’m talking about. When Dodge blew the doors off the performance car market with the Dodge Challenger and Charger SRT Hellcat models, fanboys everywhere started begging for the 707-pony powerplant to be introduced into just about every model under FCA’s American brands that were worthy of such royalty. 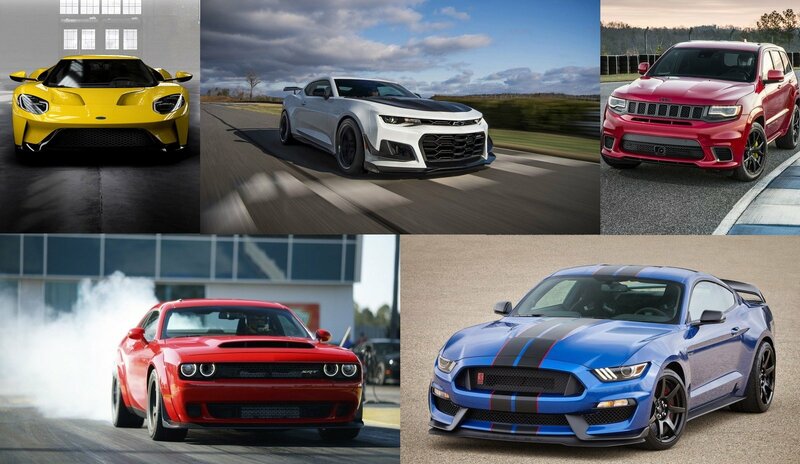 Seriously, it’s kind of ridiculous how badly the masses want Hellcat-powered machines. There were even rumors circulating at one time that there would be a Hellcat-powered Chrysler Pacifica – we even made a speculative review and a rendering just in case. That model just isn’t going to happen, of course, but a Hellcat-powered Grand Cherokee was confirmed back in 2016, and we’ve all be desperately waiting for it to make its first appearance. Now, if Motor Authority is to be believed, a “reliable source” has claimed that the Hellcat-powered Grand Cherokee Trackhawk will make its official debut at the New York Auto Show alongside the Challenger SRT Demon. For now, official specs and details have been kept a complete secret. Some rumors indicate that the Trackhawk could be tuned to deliver even more power than the Challenger SRT Hellcat, but more than likely, it will get the same 6.2-liter V-8 with 707 horsepower and 650 pound-feet of torque. The Trackhawk will have an all-wheel-drive setup which could, in theory, make it even quicker off the line than the other Hellcat models on the market right now. 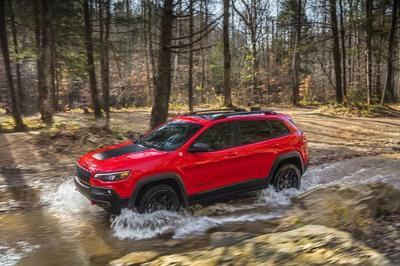 Then again, to ease strain on the AWD system, Jeep could very well slim down at least first and second gear to help balance things out for reliability reasons. As far as actual performance goes, the Trackhawk should be one hell of a monster. Considering the brand-new Dodge Durango SRT and its 475-horsepower, Hemi, V-8 can hit 60 mph in 4.4 seconds and run the quarter-mile in 12 seconds; the Trackhawk should be able to topple that hands down. Expected 60 mph to come in as quickly as four seconds flat and the potential for a quarter mile run to come in the high-ten-second range. Now, that’s one fast SUV right there, don’t you think? The parents of actor Anton Yelchin are planning to take legal action against Fiat Chrysler Automobiles over the death of their 27-year old son on June 19, 2016. According to the Associated Press, an attorney who represents the Yelchin’s parents announced their plans to file a wrongful death lawsuit against the automaker, which they hold responsible for releasing a vehicle – a Jeep Grand Cherokee – that had a confusing shifter design that led to some cars to roll away by themselves. Yelchin’s family believes that the actor’s Grand Cherokee was one of the affected models and the problem manifested itself at the worst possible time when it rolled down his driveway and pinned him against a brick pillar and security fence. Yelchin died on the scene from traumatic injuries sustained from the horrible episode. A coroner ruled the actor’s death an accident, but that apparently isn’t stopping his parents from taking FCA to court on the grounds that it made a defective vehicle that caused their son’s death. If it is determined that the confusing gear shifter design played a role in the actor’s untimely passing, it would become the first incident of someone dying because of the defect. That said, a government investigation revealed that there have been 268 documented crashes because of the gear shifters and 68 people have been injured because of it as of June 2016. For its part, FCA has sent out its condolences to Yelchin’s family, but so far has refused to comment on the planned lawsuit. Update: During a press conference on August 2, 2016, the lawyer of Yelchin’s parents claims that a recall notice was sent to Yelchin seven days after his untimely death. 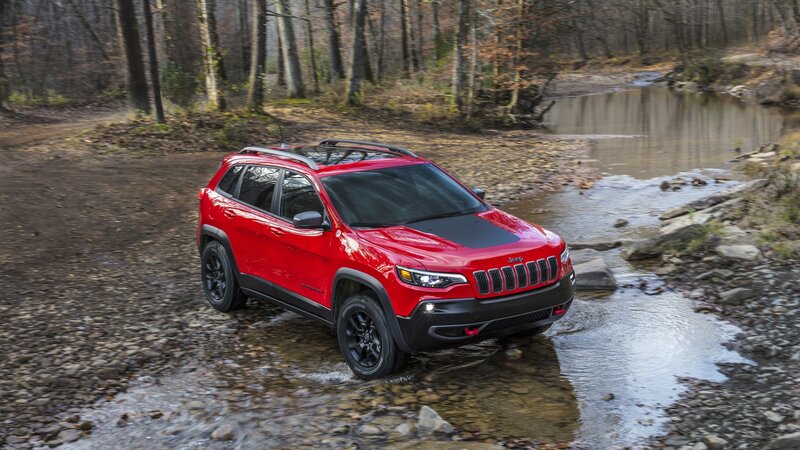 The Grand Cherokee Trailhawk will be on display at the New York Auto Show until April 3rd, and, according to Jeep, it’s slated to arrive in Jeep showrooms toward the end of the summer, which means you’ll be able to get your hands on one just in time for some fall off-roading. Until then, however, let’s take a look at the new Grand Cherokee Trailhawk and why you’ll probably want to buy one if you’re a Jeep guy. 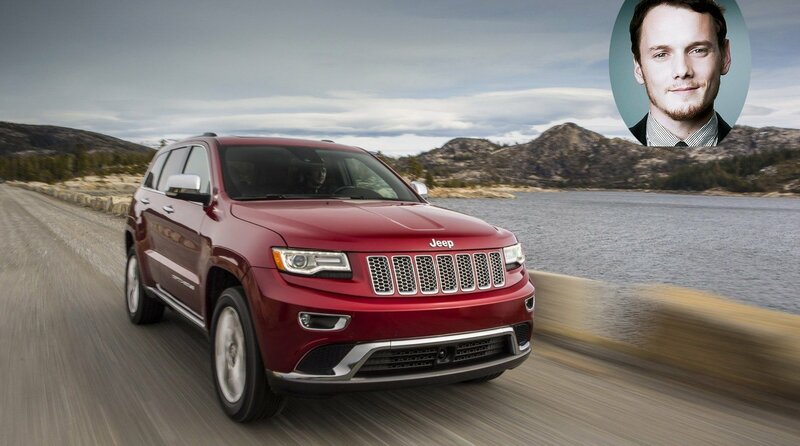 Continue reading to learn more about the Jeep Grand Cherokee Trailhawk. Along with the Wrangler Backcountry, Jeep will unveil a special edition Cherokee model at this year’s Los Angeles Auto Show. 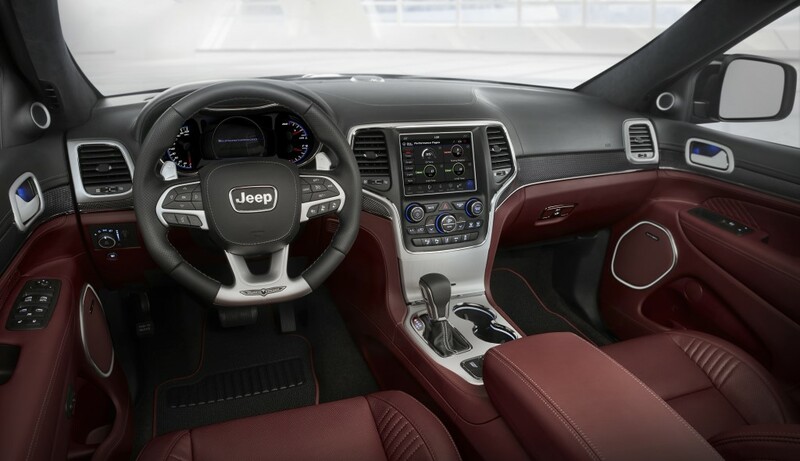 Dubbed Jeep Grand Cherokee SRT Night, the high-performance SUV comes with distinctive visual features and upgrade equipment inside the cabin. On the styling front, 2016 Jeep Grand Cherokee SRT Night features Gloss Black roof, rear spoiler, front grille bezels, B and C pillars and side window surrounds and Satin Black badges, plus a set of split five-spoke “5Ten” 20-inch wheels finished in Satin Black which does a good job of showing off the SUV’s Brembo brakes. Available body colors include include Velvet Red, Billet Silver and Granite Crystal. Inside the cabin you are greeted by Black Laguna leather with Silver accent stitching and Light Black Chrome bezels, and benefit from, depending on what boxes you tick on the options list, a dual-pane sunroof, a 19-speaker 825-watt Harman Kardon stereo system, trailer tow package, three-season tires, a full-size spare tire and a dual-screen rear entertainment system. 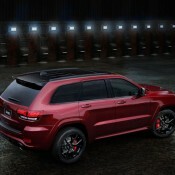 Jeep Grand Cherokee SRT Night is powered by a 475 horsepower and 470 lb.-ft. of torque 6.4-liter V-8 engine with Fuel Saver Technology which enables a 0-60 time of 4.8 seconds, 0-100-0 mph in 16.3 seconds, quarter mile in the mid 13-second range and a top speed of 160 mph. The car also has track-ready suspension adaptive damping and a Selec-Track Traction Control system. 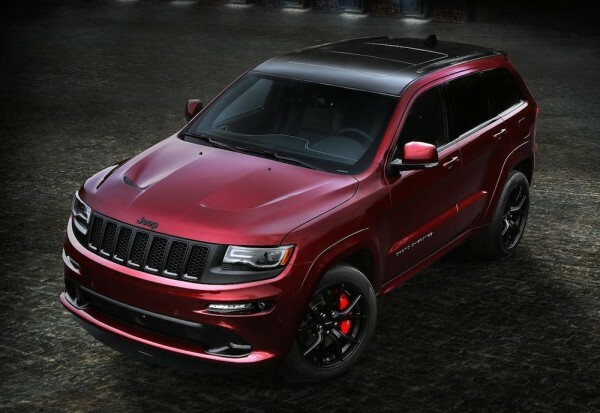 The post Official: 2016 Jeep Grand Cherokee SRT Night appeared first on Motorward. The Jeep Grand Cherokee SRT might not be creating the biggest headlines from FCA’s SRT department, but the 475-horsepower, AWD SUV is no doubt worthy of conversation. That’s even more true with the Grand Cherokee SRT’s new special edition trim package called “Night.” Simple yet effective, it seems. Though much of the Jeep’s underpinnings remain unchanged, this appearance package does add several new features and eye-catching upgrades. 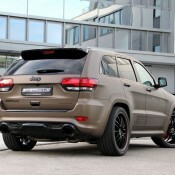 Starting up top, the Grand Cherokee SRT Night comes with a blacked-out roof, rear spoiler, and matching B- and C-pillars. The front and rear Jeep badges also get the treatment. Those upgrades match the already-black grille and lower fascias front and rear. 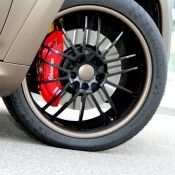 On the more useful side, the wheels are new, lightweight units that Jeep calls “5Ten” due to the split, five-spoke design. Measuring 20-inches in diameter, the Satin Black wheels match the other blacked-out exterior cues. 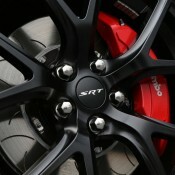 Jeep also gloats the wheels help show off the red calipers and slotted rotors that come standard from Brembo. Not too much has changed within the Grand Cherokee’s cabin. The black Laguna Leather seats come with silver accent stitching and light black chrome bezels for an extra pop. The 8.4-inch Uconnect infotainment system still presides over the center dashboard, while the driver gets his own configurable TFT display in the gauge cluster. 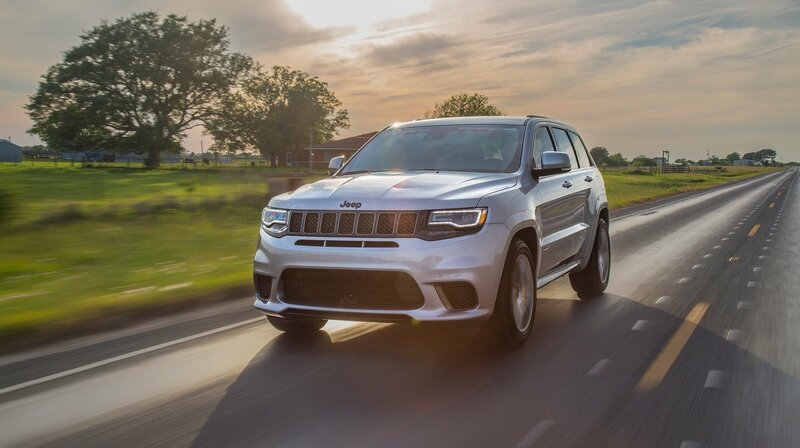 Along with the 475 horses, the Grand Cherokee SRT’s 6.4-liter Hemi V-8 turns out 470 pound-feet of torque that helps the full-size SUV hit 60 mph in just 4.8 seconds and through the quarter-mile in the mid-13-second range. Top speed is listed at 160 mph. 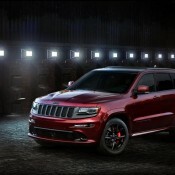 Continue reading to learn more about the Jeep Grand Cherokee SRT Night. 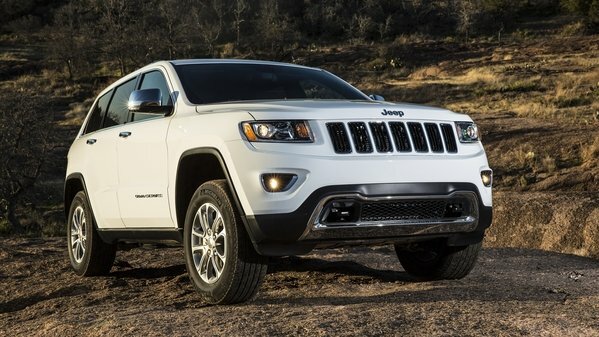 Fiat Chrysler is in hot water again over vehicle complaints, this time over late-model Jeep Grand Cherokees rolling away after being placed in park. The National Highway Traffic Safety Administration is now opening a preliminary investigation into some 408,000 Grand Cherokees, thanks to 14 complaints, including five reports of crashes and three reports of injuries. 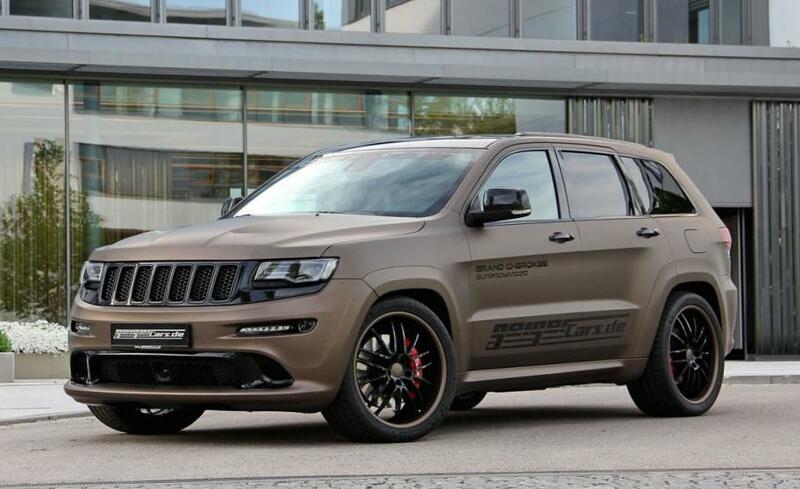 Over the past few weeks GeigerCars has been teasing us with pictures of a matte brown Jeep Grand Cherokee SRT on their Facebook page. Now they are ready to officially announced the car, and as it turns out it is the most powerful Jeep in the world! 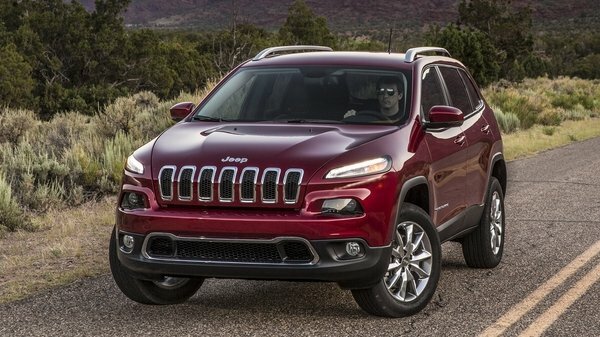 The HEMI-powered Cherokee SRT never received the respect you would expect a 475 horsepower SUV to command. Then again, the car is not really known at all in Europe. But Geiger is determined to change that, and they have come up with a power package for the American SUV that will make everybody to take notice of this beast of a family bus. The magnificent and characterful 6.4 liter supercharged V8 engine with hemispherical cylinder heads – hence the name HEMI – is fitted by the German tuner with an in-house developed 2.9-liter supercharger featuring a large intercooler and bespoke software upgrade with altered fuel and ignition software wired in. This results in a meaty upgrade to 718 horsepower and 776 Nm of torque, which in turn results in a 0-100 km/h time of 3.9 seconds and a top speed of 290 km/h. Available options for GeigerCars Jeep Grand Cherokee (66,900 euros) include an oil cooler (1,430 euros), sport springs (1,250 euros), uprated anti-roll bars (650 euros), 10.0×22-inch alloy wheels shod with 305/35R22 (5,490 euros), and a lovely foil wrap in the color of your choice (2,900 euros). 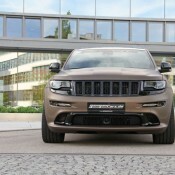 The post GeigerCars Jeep Grand Cherokee Unveiled with 718 PS appeared first on Motorward.